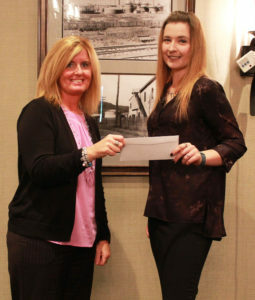 The Jacob J. Karl Memorial Staff Scholarship, named for the late county legislator who served on the ReHab Center’s board of governors and was instrumental in promoting the Agency’s growth during the 1970s, was presented to Jessica Preston (left, with Mari Howard). Jessica has worked for the agency for four years and plans to pursue a MS in Rehabilitation Counseling from University of Buffalo. “This degree would help me understand and be able to help the people we support with problems and ways to help resolve these problems,” Jessica said. 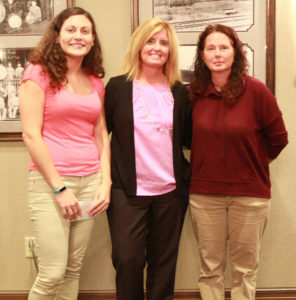 This award was presented to Alyssa Richardson (left, with Mari Howard) who began working for the ReHab Center in 2008 in the Children’s Learning Center. After taking some time off after the birth of her daughter, she returned in 2015 to work at the Fall Road residence as a Direct Support Professional. She was transferred to Prospect Avenue in December, where she works today. Alyssa began a nursing degree program this fall and plans to use the funds to support her nursing education. The Mary Tremaine Memorial Staff Award is given in memory of Mary, who was a residential services quality assurance manager and worked at the ReHab Center for more than 10 years. Mary is remembered as “dynamic, vivacious with an upbeat personality, with a strong work ethic and tenacity,” Mari Howard said. 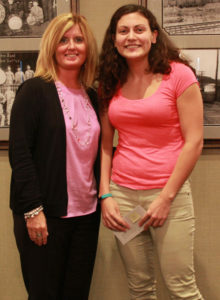 The award was presented to Jessica Preston. “The scholarship was designed to aid in the educational advancement of a ReHab Center employee who is especially interested in leading and inspiring other individuals learn more about supporting people with disabilities,” Mari said, naming Kristina Miller as this year’s award recipient. Kristina is currently studying social sciences at JCC and will graduate with her associates this fall. She plans to attend St. Bonaventure this spring. The Eaton Family memorial Award, established by the Eaton Family in honor of its loving husband and father, Daniel Eaton. “This award recognizes two staff members who consistently give 110%,” Mari said, naming Lisa Powless and Jessica Preston as award recipients. “Lisa has worked for the Agency for 13 years and is a very strong advocate for the people we support and has excellent working relationships with them,” Mari said. “She expresses interest in their lives, and with her calm demeanor and great sense of humor, the folks demonstrate more interest in learning and achieving independence. Lisa is an asset to the Lifeskills program and to the agency overall. 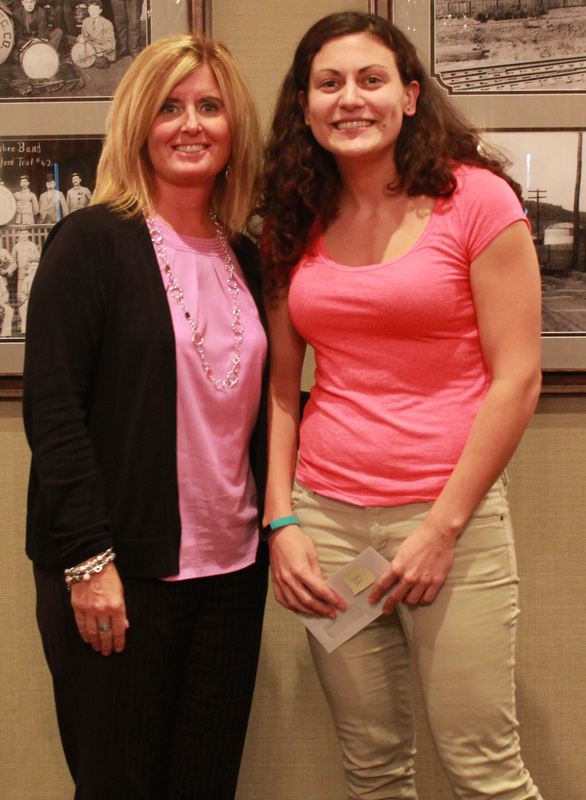 Jessica, who received two previous awards, “is a very hard worker,” Mari said. Jessica Preston, Mari Howard, and Lisa Powless and in photo left / above. 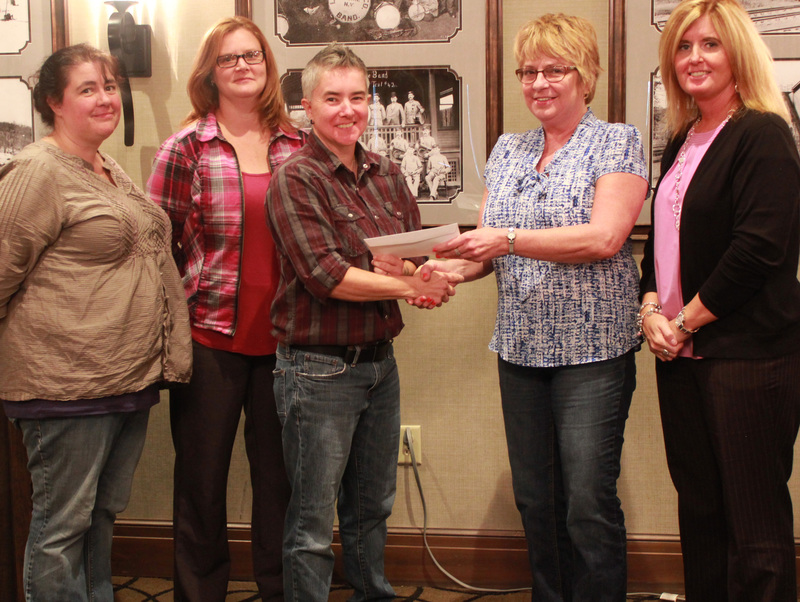 The final award is the Roger Hennig Memorial Arts Enrichment Grant. The grant was established in 1990 in memory of Roger Hennig, who had muscular dystrophy. He graduated from Olean High School in 1970 and participated in the ReHab Center’s workshop program. Jamie Canfield, and Aimee Kaple and Angie Ritchie (left) accepted the award on behalf of the Agency’s Family Support Services program. “The grant will be used for outings that our families normally would not be able to go to because of the needs of the youth,” Angie said, adding Family Support Services received the grant also last year. The program will continue the types of programs which had successful outcomes.